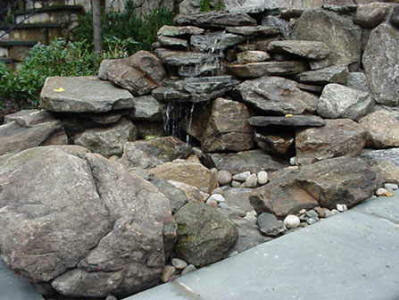 I Need Find Best Local Near Me Pond Install Builders. 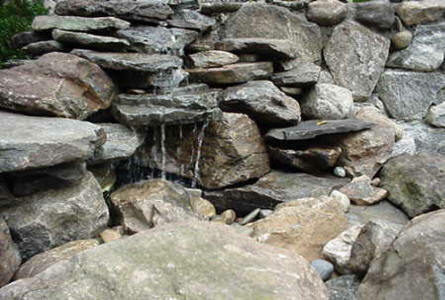 Providing Services in:- Design and Install - Ponds - Koi Pond Builders - Pond Installers We create fish ponds, garden ponds, vanishing waterfalls, babbling brooks, and meandering streams that produce the wonder of natural sites and sounds and increase property values. 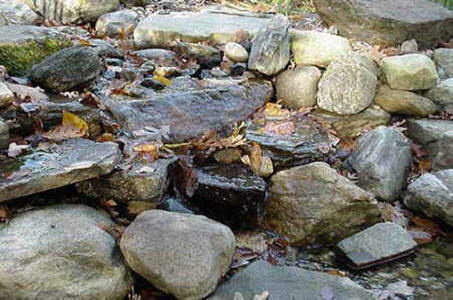 Starter Ponds These are small ponds (generally preformed) that may be in-ground or above ground. 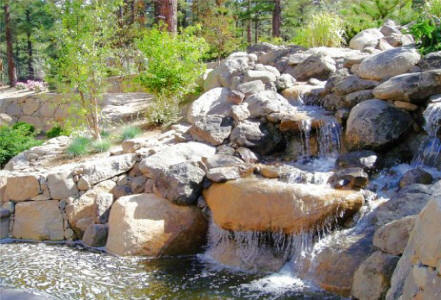 They may have features like water fountains, but will lack aquatic life because of their small size. 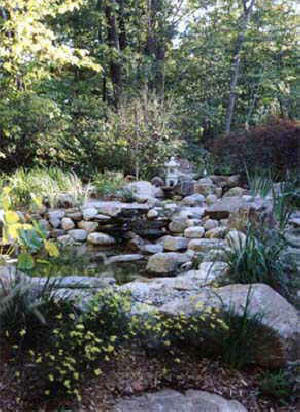 Some starter ponds do accommodate small aquatic plants. 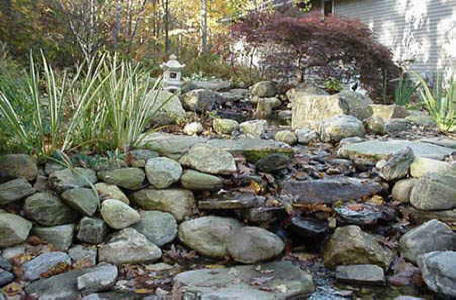 Water Gardens/Ornamental Ponds Water Gardens are typical ponds that can have a combination of ornamental plants, fish (other than Koi) and other forms of wildlife. 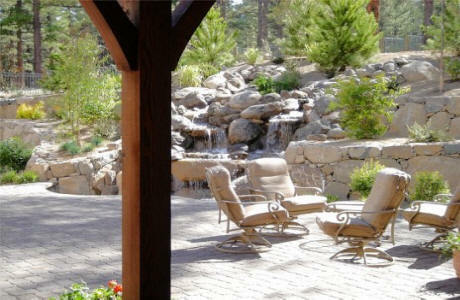 They may also feature pond features like waterfalls or fountains with proper lighting. 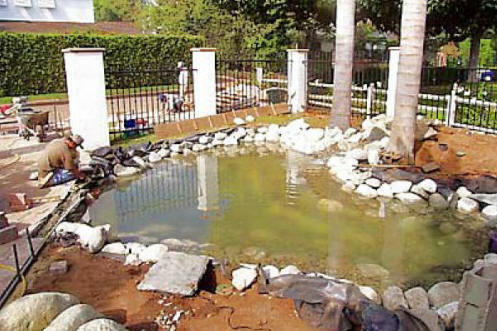 Fish ponds are ponds constructed specifically for keeping fish. 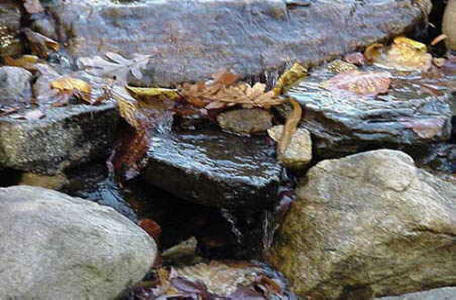 They can have different varieties of fish and are generally large in size. 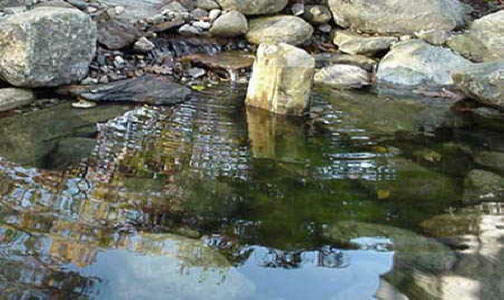 Fish ponds also always feature aquatic plants, gravels and stones. 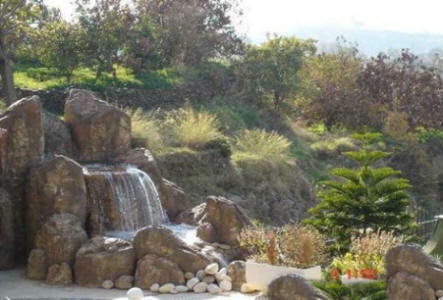 They can also have waterfalls and fountains. 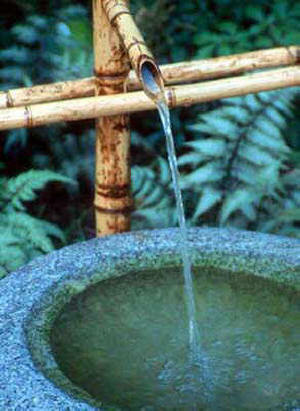 Koi ponds are ponds constructed specifically for keeping Koi craps ((Japanese fancy carp)). 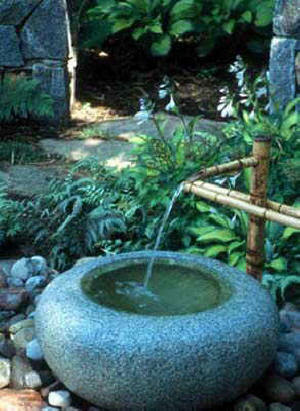 They have to be constructed keeping in mind the various needs of the Koi fish and generally require a lot of maintenance. 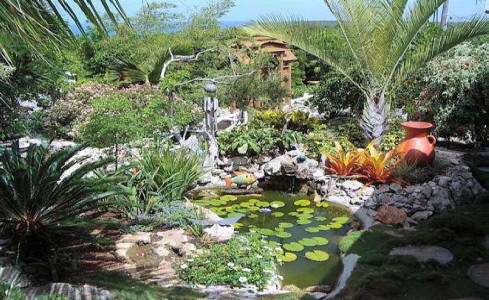 Wildlife Ponds Wildlife ponds are ponds that have been constructed from keeping aquatic wildlife like turtles, fishes, frogs, tadpoles, Dragonflies etc. 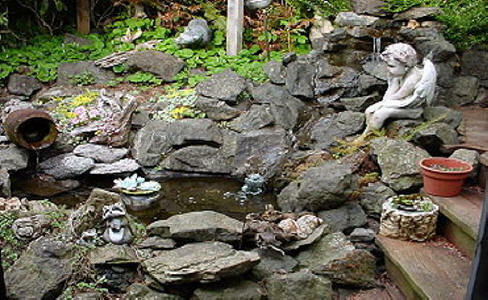 Wildlife ponds need as much care as Koi ponds as they have amphibious wildlife that can venture outside water. 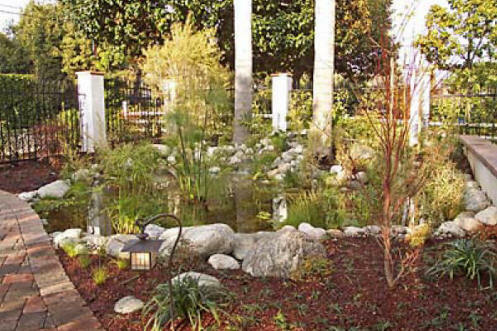 We won't be discussing more about wildlife ponds in this website. 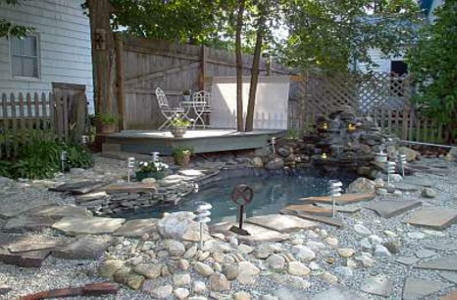 To get further information these types of ponds you can visit the link. 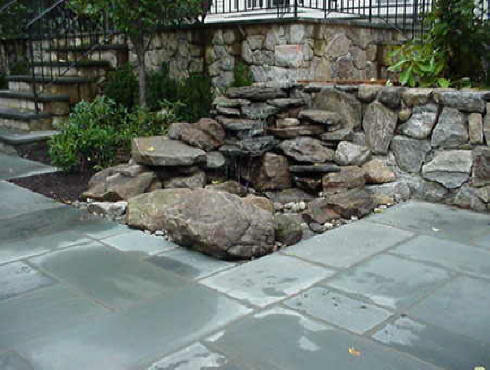 Above the Ground and Below the Ground Ponds Depending upon your preferences you can decide to go for above the ground or below the ground ponds. 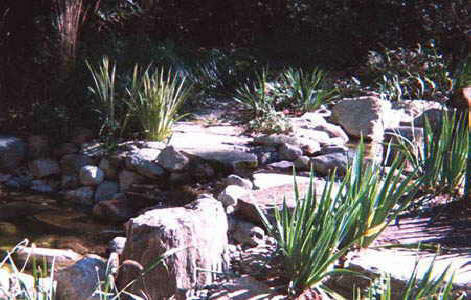 Above the ground ponds as the name suggests are ponds that remain above the surface of ground. As no digging is required, these ponds can be brought into working condition in very less time. 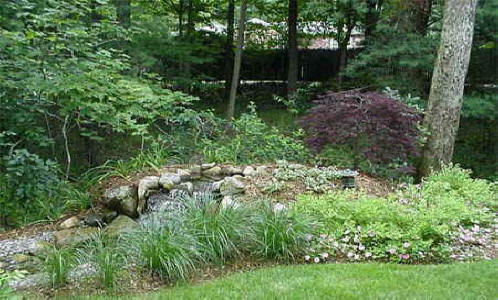 These types of backyard ponds are best considered when the requirement is of a non-permanent pond. 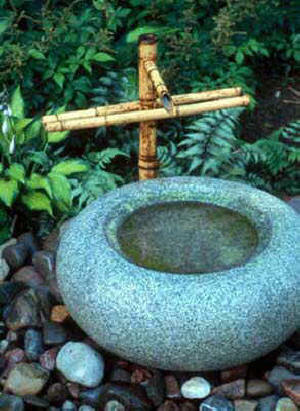 It is important that you think things through before deciding on installing your very own back yard fish pond. 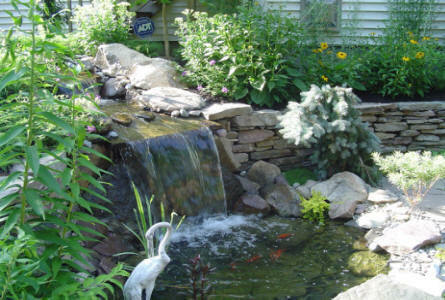 Repaired My Koi Pond and Added another Waterfall for better circulation. 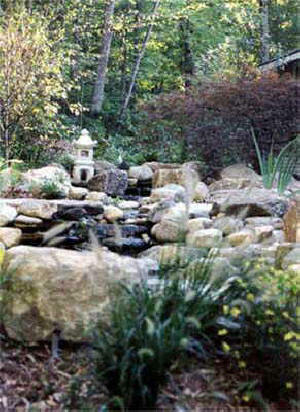 I Need Find Best Local Koi Ponds Builders Cost Install/Build Fish Pond In Yard Home Company/Contractor Repair Liner Remodel We create fish ponds, garden ponds, vanishing waterfalls, babbling brooks, and meandering streams that produce the wonder of natural sites and sounds and increase property values. 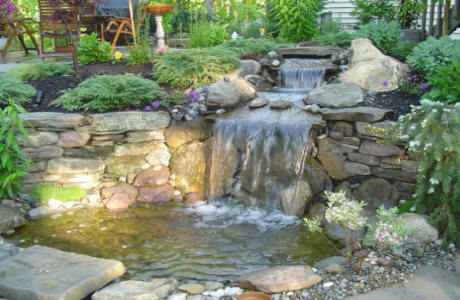 Types of Backyard Ponds Starter Ponds Water Gardens/Ornamental Ponds Fish Ponds Koi Ponds-Wildlife Ponds Koi Ponds Builders<.